From one of the most iconic game brands in the world, this official DUNGEONS AND DRAGONS illustrated history provides an unprecedented look at the visual evolution of the brand, showing its continued influence on the worlds of pop culture and fantasy. 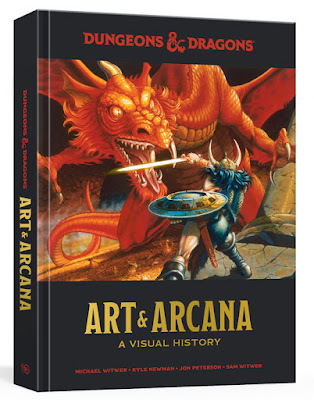 Inside the book, you’ll find more than seven hundred pieces of artwork—from each edition of the core role-playing books, supplements, and adventures; as well as Forgotten Realms and Dragonlance novels; decades of Dragon and Dungeon magazines; and classic advertisements and merchandise; plus never-before-seen sketches, large-format canvases, rare photographs, one-of-a-kind drafts, and more from the now-famous designers and artists associated with DUNGEONS AND DRAGONS. The superstar author team gained unparalleled access to the archives of Wizards of the Coast and the personal collections of top collectors, as well as the designers and illustrators who created the distinctive characters, concepts, and visuals that have defined fantasy art and gameplay for generations. 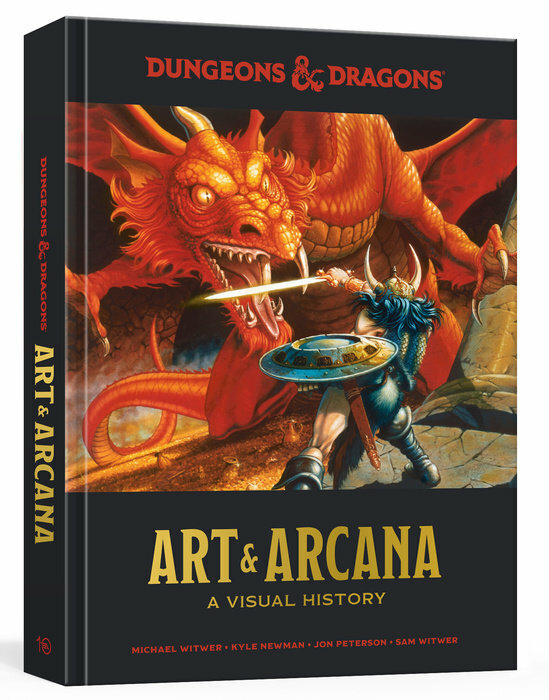 This is the most comprehensive collection of DandD imagery ever assembled, making this the ultimate collectible for the game’s millions of fans around the world.